Robots are non-humans and therefore have no human rights. Congress has 119 of them and a P1,000 budget could be more than enough for their minimal upkeep. Human rights workers are people who deserve to live a life of dignity as well as a safe and sympathetic environment. The Commission on Human Rights (CHR) works for the protection and promotion of human rights. The CHR, according to one of its mandates, should work closely with Congress “to recommend effective measures to promote human rights and to provide for compensation to victims of violations of human rights, or their families.” On the other hand, the function of the members of the House of Representatives (HOR) is to enact law and must uphold the law with highest integrity and standard. The HOR and CHR therefore, as their mandates dictate, must work hand in hand for the protection and promotion of human rights, not the other way around. 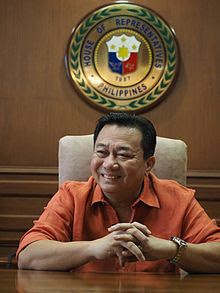 Providing the CHR with a PhP1,000 budget based on flimsy reasons and alternative facts can only be described as an act of bigots and dishonourable men, so shameful that a total of 119 robots were successfully assembled by Speaker Alvarez to kill the right of the CHR and its workers to exist. It is a clear case of Congress’ power of the purse being used as a political tool to impose authoritarian rule. This, to us, is the lowest act of the lowest kind of people in Congress who do not understand or who will never understand the universal concept of human rights. We likewise believe that the HOR leadership do not act alone in this respect as they clearly are in line with the President’s outspoken distaste of human rights. Furthermore, this despicable action of Congress against the CHR, NCIP and ERC can also be deemed as anti-labor since most of the agencies’ budgets go to wages and benefits as well as the operations of their personnel. This is tantamount to constructive dismissal or political persecution at worst. In fact, this is an illegal act that warrants court actions. If Congress can happily grant Mocha Uson a P106,454 monthly compensation for spreading fake news and performing live shows in the side lines, why punish human rights workers who are performing their jobs better under any administration?